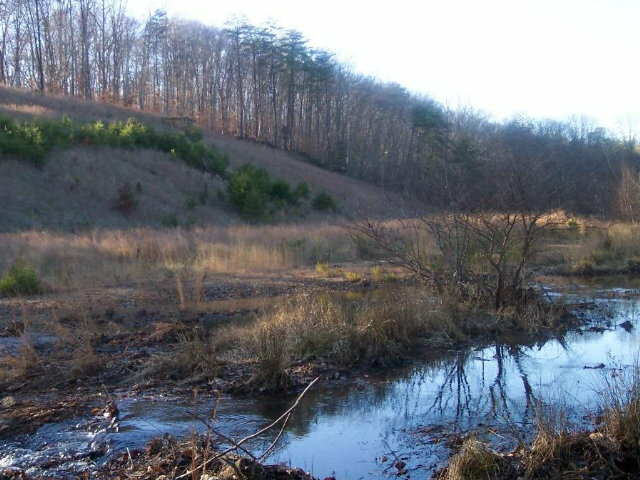 Description: This is an easy 6.8 mile circuit in Prince William National Park between Dumfries and Fredericksburg, VA right off of I-95. The trails are well-marked and meticulously groomed. There are some hills but they are usually either long and slight or steep but very short. For that reason I show no Elevation profiles for this park. 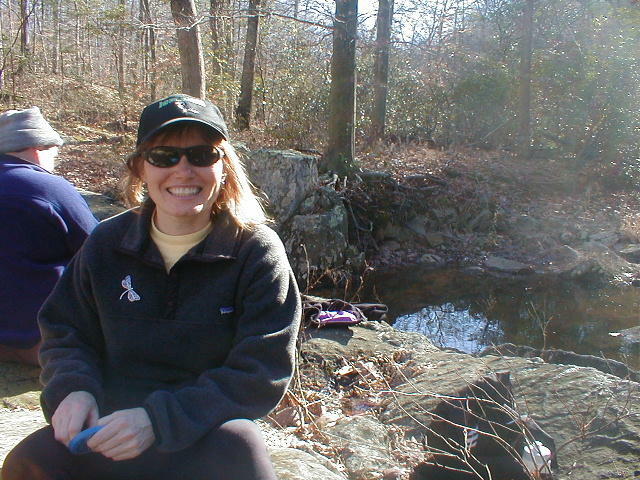 Although I prefer to hike in Prince William in the winter it should be given serious consideration for spring and fall outings, especially for beginners. 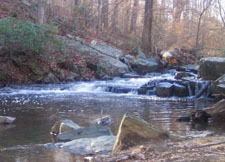 In the spring the under-story along the creeks are abloom with Red Bud, Dogwood and Wild Azaleas. In the fall there is always the orange and yellows of Maple, Beech and other deciduous trees. 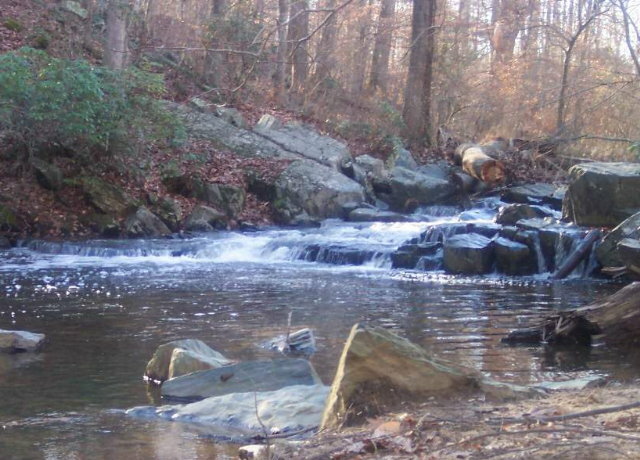 The hike can be shortened to 6.7 miles by starting at the Turkey Run Education center and not utilizing the Laurel loop Trail at Pine Grove Picnic Area. Turn left into Pine Grove picnic Area. Continue down the parking area directly in front of you and park at the end of the lot. Note: Google Map directions mistakenly calls this South Orenda Rd. Take exit 150B (Quantico Triangle and Prince William NP signs). At the end of the ramp, bear right onto VA Rt619. Turn right into Park. This is a fee area ($6.00/car). If the gate house is closed pay at Park Headquarters further down the road. Pass the Scenic Drive on the left. Turn left into Pine Grove Picnic Area. Continue down the parking area directly in front of you and park at the end of the lot. At the end of the parking lot walk north picking up the yellow blazed Laurel loop Trail. 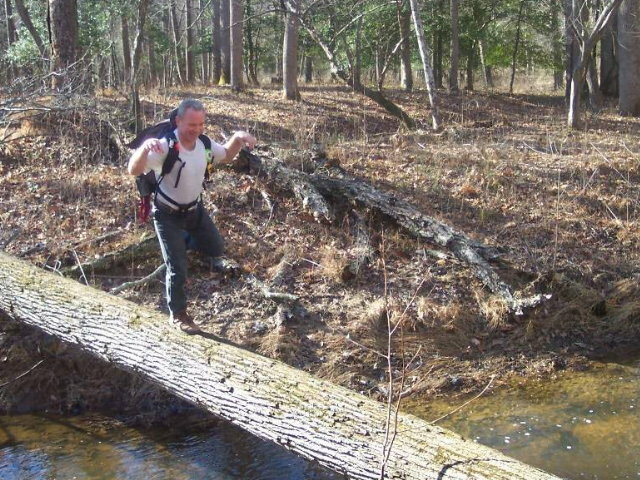 Descend to the south branch of Quantico Creek. In 0.4 miles arrive at a 4-way intersection. Laurel Loop Trails continues to the right and South Orenda Road is to the left. Continue straight, crossing the creek on a cable bridge. Turn right onto white blazed South Valley Trail. In 0.6 miles arrive at unblazed Pyrite Mine Road. To get a view of the remains of the old Pyrite Mine and the swamp around it created by the dumping of mine tailings turn right, cross a bridge and immediately turn left. Soon arrive at a boardwalk that leads to the viewing area. Retrace your steps to the South Valley Trail junction. 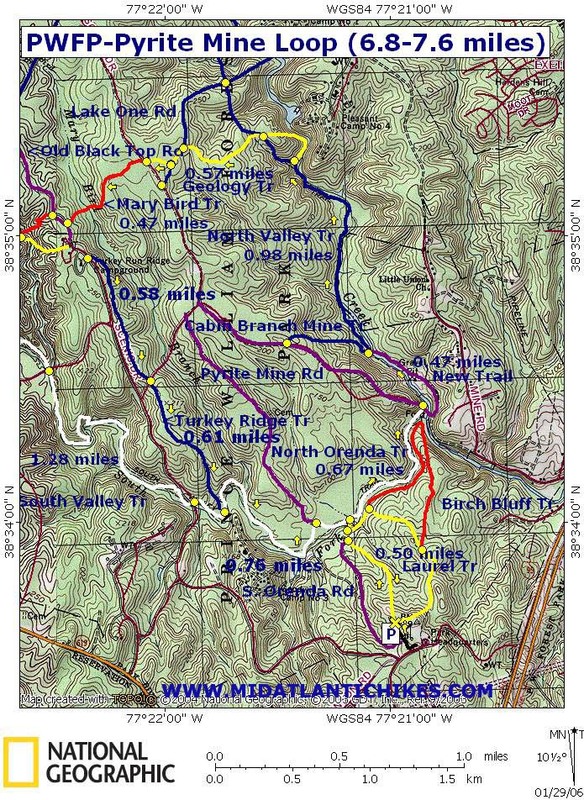 From there, walk up Pyrite Mine Rd for approximately 0.7 miles. Near the crest of the hill turn right onto orange blazed Cabin Branch Mine Trail and follow it back down to the north branch of Quantico Creek (0.57 miles from the last junction). Turn left onto blue blazed North Valley Trail. 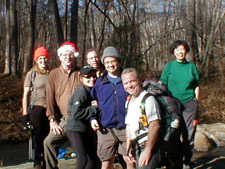 In a mile arrive at the junction of yellow blazed Quantico Falls Trail. Follow the falls trail to view the falls. Continue up Quantico Falls Trail, crossing North Valley Trail, and arrive at blue blazed Lake One Rd. Turn left here but in a few steps turn right onto the beginning of red blazed Mary Bird Branch Trail. Soon arrive at the Scenic Drive. Cross the drive and pass through a swampy area created by beavers using a plank walkway. 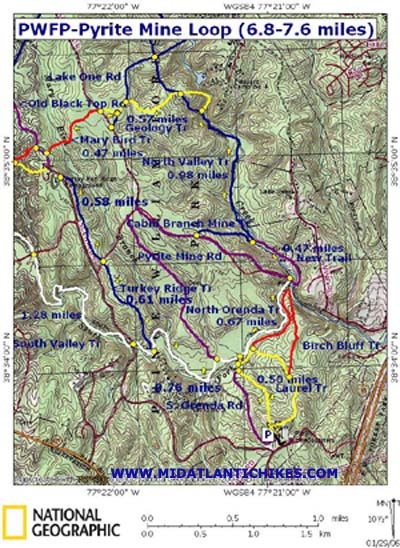 In 0.35 miles arrive at Black Top Road. Turn left onto Black Top Rd. Pass the Turkey Run Education Center on the right. (There are bathrooms behind it.) As you pass the group camping area on the right bear left onto blue blazed Turkey Run Ridge Trail. Cross the Scenic Drive in about 0.5 miles. In another 0.5 miles reach the junction of white blazed South Valley Trail. Turn left onto South Valley Trail. In about 0.7 miles pass un-blazed North Orendo Road on the left. Soon arrive at the cable bridge you crossed at the beginning. Cross the bridge. Either retrace you steps back to the car or take North Orendo Rd to your right or the continuation of Laurel loop Trail to your left for a change of pass. They both end in the Pine Grove Picnic Area.